DOETINCHEM, the Netherlands – That Pon Holdings, which in essence is a car company, is acquiring a big stake in Accell Group can be regarded as part of a broader trend. That trend is that car makers are now actually entering the electric two-wheeler markets of the world. 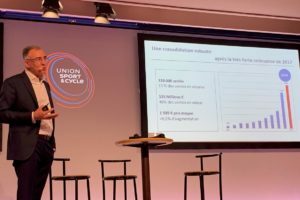 GM and Ford are the latest ones after last September Volkswagen presented an e-CargoBike and Peugeot a LEV. 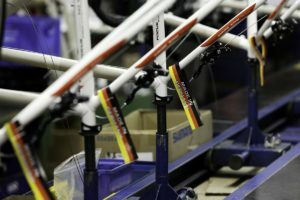 They come after many car components suppliers have switched or are switching from four to two wheels. 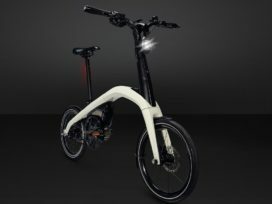 After Ford has been omni-present at various Taipei Cycle Shows in combination with Dahon, with which the car company entered into a kind of co-makership agreement for folding bikes that could fit the trunk of Fords cars, the car maker announced last week that it bought an electric scooter startup named Spin. This company began operating scooter share programs earlier this year, after previously operating bike share programs. Now it has scooters in about eight U.S. cities and five college campuses. 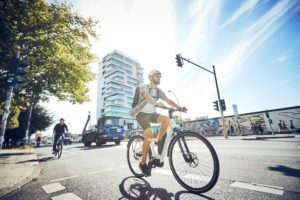 General Motors recently announced that it will start selling two models of electric bicycles in 2019; a folding bike and a compact model. Hyundai is probably the next in line to actually enter the electric bike markets of the world. 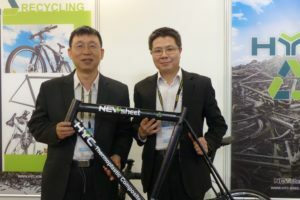 At least that can be deduced from the presence of high-ranking staff during the Taipei Cycle Show held earlier this month. The big automotive names are all targeting the urbanization trend which is expected to cause more mobility problems in cities with people changing to two-wheeled mobility. 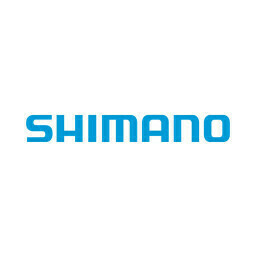 The arrival of the named automotive giants on the e-bike market comes after car components makers did exactly that earlier. As e-bikes picked up speed a big number of makers of mechanical car parts are targeting electric bicycles now. 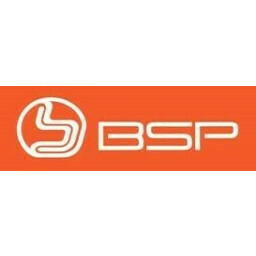 The examples set by Bosch, Continental, Brose have and are being followed by company’s like Metz, Marquardt, Fendt and many, many others. It’s turning into an outright automotive invasion. 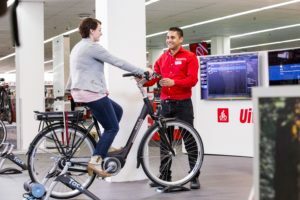 Seat’s answer on the market for urban micromobility: the eXS KickScooter with Segway-technology introduced at the Smart City Expo World Congress in Barcelona.